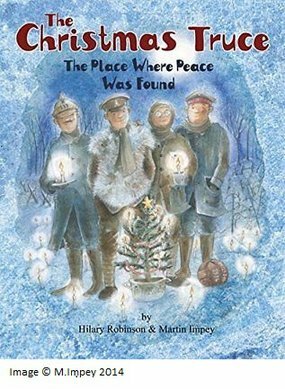 Using the the poignant and beautifully illustrated narrative poem by Hilary Robinson and Martin Impey, The Christmas Truce - The Place Where Peace Was Found, this resource immerses pupils in a very special moment in history. The assembly script, taken directly from the book, is perfect for a whole-class performance of this touching poem and is accompanied by a pick and mix of ideas and sources to deepen pupil knowledge of the history of this remarkable event . The First World War Christmas assembly resource includes all you need to make Christmas a meaningful part of your school’s centenary commemorations. Accompanying images to support class-based activities and research. The book and poem are suitable for pupils throughout the primary age range due to the profound nature of the subject in question. For performance, the language would ideally suit pupils from Year 2 upwards although collaboration between Key Stages 1 and 2 pupils would make the assembly accessible for all. Buddying older and younger pupils together while they research and explore the event, working together to organise, arrange and perform would be a lovely way to spend a day or two as the busy autumn term leads up to Christmas. Key Stages 1 and 2: reading comprehension, performance poetry, spoken language.